During the period 1984-1999, I did considerable genealogical research regarding the Norfleet family in both the United States and England. This web site presents some of the results of that research but is not intended to be an exhaustive exposition of Norfleet family history. The Norfleet family in America appears to be of English origin. Based upon evidence from official English records, dating from the Middle Ages through the 17th century, these Norfleets primarily resided in the southern English county of Kent. The American branch of the family seems to descend from a single immigrant to Virginia Colony, Thomas Northfleete, who acquired 300 acres of land in Nansemond County along the western side of the southern branch of the Nansemond River in the year 1666. My analysis of the information summarized in my essay on the English Norfleets has led me to conclude that the surname Norfleet first arose in Kent County, England and was derived from the name of the Manor and Parish of "Northfleet." I suspect that the first Norfleet immigrant to America, Thomas Northfleete, who settled in Virginia Colony about the year 1666, came from Northeast Kent in the vicinity of the towns of Faversham and Canterbury. Unfortunately, I have not yet been able to conclusively identify the specific family or the exact place of origin in England. 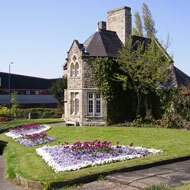 The modern-day village of Northfleet is now a suburb of the town of Gravesend in Kent. 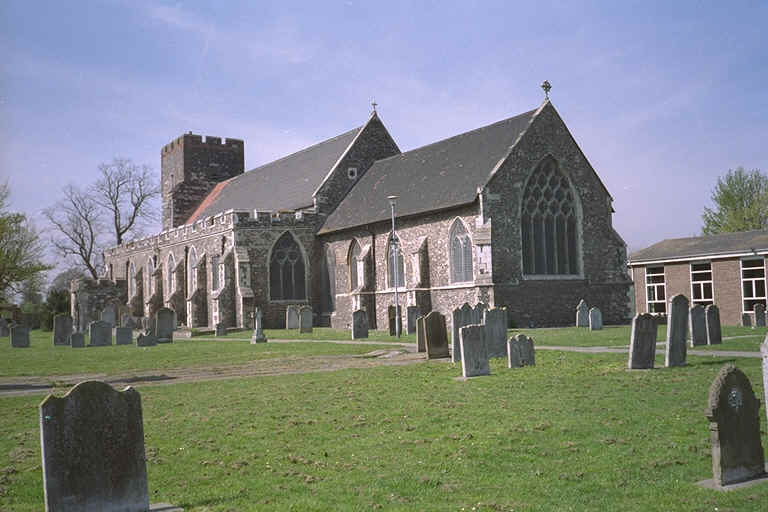 I visited Northfleet in 1995 and took several photos of the village and parish church. 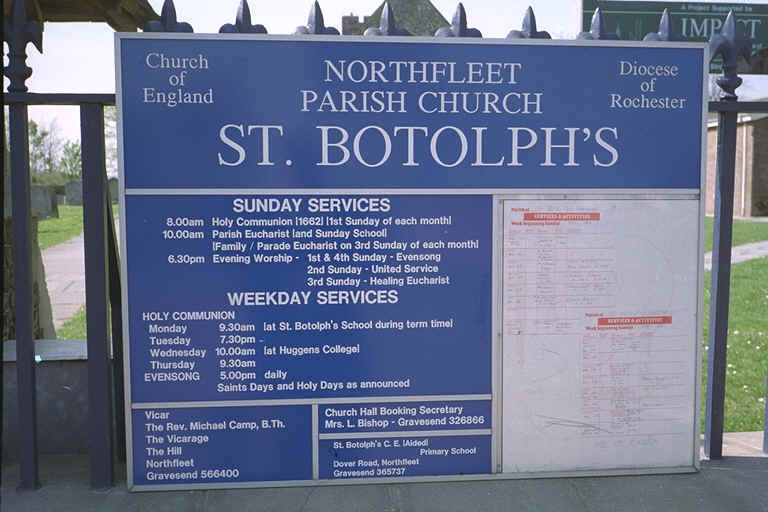 The picturesque parish church, Saint Boltoph's, is located near a craggy chalk cliff and overlooks a wooded quarry. The church is basically a fourteenth century structure, with some evidence of much earlier Saxon masonry. The restored stained glass windows reflect Kentish geometrical tracery and the chancel screen dates to 1313. Analysis of all the available records indicates that at least some of the Norfleets of Chilham, Molash and Faversham were related. Thomas Norfleete, yeoman of Molash appears to be son of John Norfleet of Chilham, and also the father of John Norfleet, blacksmith of Faversham. Also, John Norfleete, mariner of Faversham may be the brother of Thomas, yeoman of Molash. The Library of Virginia in Richmond is the repository of all the extant records of the Colonial Virginia Land Office. In this repository, I have located a total of ten land grants made to members of the Norfleet family (two by assignment and eight by direct patent) in colonial times. My analysis of the above tabulated grants indicates that the first record of a Norfleet in Virginia Colony occurs on 22 October 1666. A man, referred to in the entry as "North Fleete," had a 300 acre tract of land recorded in the Land Office at Jamestown; he had acquired this land by assignment from a certain John Skerrett, who had originally patented the land on 17 March 1654/55. Two years later, on 30 September 1668, "Thomas Northfleete" again recorded an entry for the same land. Apparently, the acquisition was recorded the second time to correct the name of the assignee, which had been garbled on the 1666 entry under the name "North Fleete. These two land patents constitute two of the three known references to Thomas Northfleete, the original immigrant to Virginia. The third reference is a court record (writ) indicating that a certain "Thomas Norfleet" had served on a Jury of Escheat in Nansemond County on 21 October 1673. The third (dated 1695) and fourth (dated 1718) Virginia land grants to a certain Thomas Norfleet probably refer to a son of the original immigrant, Thomas Northfleete. The third grant, dated 25 October 1695, refers to "Thomas Norfleet, Junr" indicates that the original immigrant and father of Thomas, Junior was still living at this time. My experience with the official records of early America strongly indicates that the use of the terms senior and junior are mainly used to differentiate two people of different ages, with the same name, living in the same area at the same time. The senior person would be older than the person with the junior designation; the terms would not necessarily indicate a father-son relationship. However, it is reasonable to assume that very few Norfleets lived in Virginia at that time. Accordingly, the designation "Thomas Norfleet Junr" cited on the 1695 land patent probably indicates not only that a senior (older) Thomas Norfleet was still living in the area, but also that the elder Norfleet was probably the father of the younger. With the exception of the two grants to Thomas Norfleet in 1695 and 1718, all of the eighteenth century Norfleet grants are in exchange for money or tobacco paid to the Secretary of Virginia Colony. It should also be noted that several grants were, at least in part, composed of land that had earlier been patented by other people (including members of the Norfleet family). Apparently these previously granted tracts had never been seated and/or planted as required by law, hence the title to this land had "lapsed" and the Crown had resumed ownership, making such land available for regranting. The earliest Norfleet land grants were in the area just north of the town of Suffolk (established in 1742), on the western side of the southern branch of the Nansemond River. Today, Thomas Northfleete�s land grant is in the vicinity of Thompson Landing. Land granted by the King to settlers in Virginia Colony was subject to a perpetual duty or quit-rent of one shilling for every 50 acres, payable in tobacco at the rate of one penny per pound. The amount of revenue generated by this source was of considerable importance to the British government. However, throughout the entire Seventeenth Century, the Royal Governors had great difficulty in collecting this tax. In their letters to the Board of Trade in London, the Governors were always reporting that there were large arrears of quit-rents which it was impossible to make the landowners (particularly the large landowners) pay. The quit-rent lists were usually quite inaccurate and incomplete, substantially understating the amount of land and associated tax due the King. One of the Royal Governors, Francis Nicholson, made an unusually strenuous effort to obtain a truly accurate rent roll for the colony. He produced this list for the year 1704 and had a true copy of the roll sent to the Board of Trade. The list includes the twenty Virginia counties whose quitrents were payable to the King. Excluded were the five counties of the Northern Neck, the quit-rents of which were paid to the Lords Proprietors (the Fairfax-Culpepper family). Today the Board of Trade copy is on file at the Public Record Office, Chancery Lane, London. This roll has been published many times and is readily available to historians and genealogists. Except for fragments, pertaining to only a few counties, no other quit-rent lists have survived in either Virginia or England! The above four individuals are all probably sons of Thomas Northfleete, the first Norfleet immigrant; Thomas Norfleet (called Thomas Norfleet, Jr. in a 1695 VA land grant) is probably his eldest son. While these four men were obviously not wealthy, the size of their plantations compares favorably with the average plantation size (313 acres) for Nansemond County in 1704. John Norfleet is undoubtedly the father of John Norfleet (1699-1753) who died testate in Chowan County, North Carolina. Thomas Norfleet, Jr. is almost certainly the father of Thomas (d. 1746), James (d. 1732) and Marmaduke Norfleet (1700-1774) who died testate in Edgecombe, Perquimans and Northampton Counties, North Carolina, respectively. Christopher and Edward Norfleet are probably the youngest sons of the original immigrant, Thomas Northfleete. There is no hard evidence regarding the descendants (if any) of Christopher and Edward; however, the use of these names in later generations of Norfleets strongly implies that they had male progeny who continued to live in Nansemond county throughout the eighteenth century. In particular, these men were probably the fathers of the Christopher Norfleet (d. 1751) and Edward Norfleet (d. 1747) who were members of the Vestry of the Upper Parish of Nansemond County VA. I currently maintain twenty-four websites. 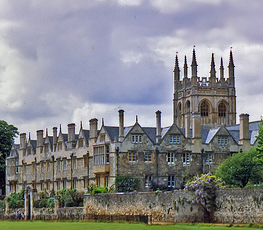 Fifteen sites are related to philosophy and art and nine are related to genealogy and local history. Links to these sites are shown below. All Rights Reserved. Published in the United States of America. Essays and other narratives, provided at this web site, may be reproduced for nonprofit personal or educational use only. Any commercial use of these materials is a violation of United States copyright laws and is strictly prohibited.